Ernie Ball's most vibrant acoustic strings engineered to prolong string life. 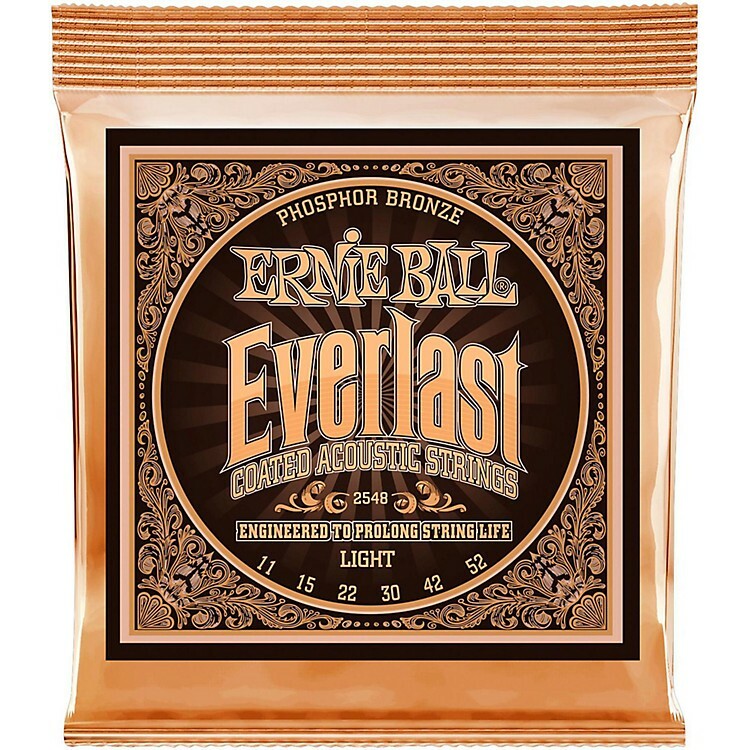 Everlast Phosphor Light Acoustic Guitar Strings utilize a breakthrough nanotreatment that enhances the metal surfaces to repel moisture and oils. One thousand times thinner than any other acoustic coating on the market, Everlast strings give longer life without compromising tone or feel. Everlast technology resists tone killing contaminates better than any other acoustic string on the market. Ernie Ball's new Everlast nanotechnology is applied to both the inner hex core and outer wrap wire, providing ultimate protection from harmful foreign matter like dirt, grime, acid, sweat and moisture. Pick up this pack of improvement and experience the difference today!